DETAILS: Brunch. Drinks. Shopping. Celebration. #makermeet is back – but with a little Sunday Funday facelift. 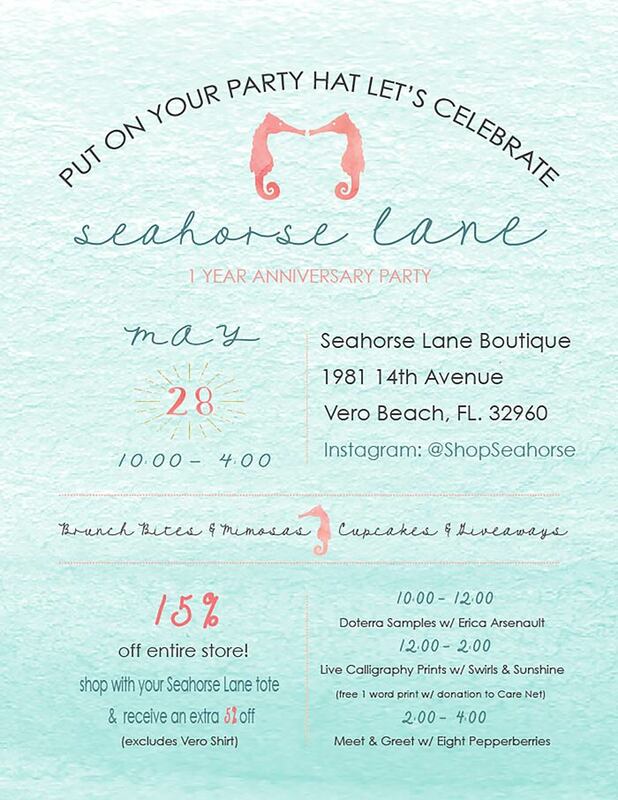 Social House is celebrating two years – so come out and grab a bite, snag a brunchy cocktail, peruse deliciously beautiful goods from local makers and boutiques, rinse, repeat. Entry is free to the public, with up to 20 vendors on site and an a la carte food and bar menu available for purchase. Families welcome. LOCATION: Walking Tree Brewery || 3209 Dodger Rd. 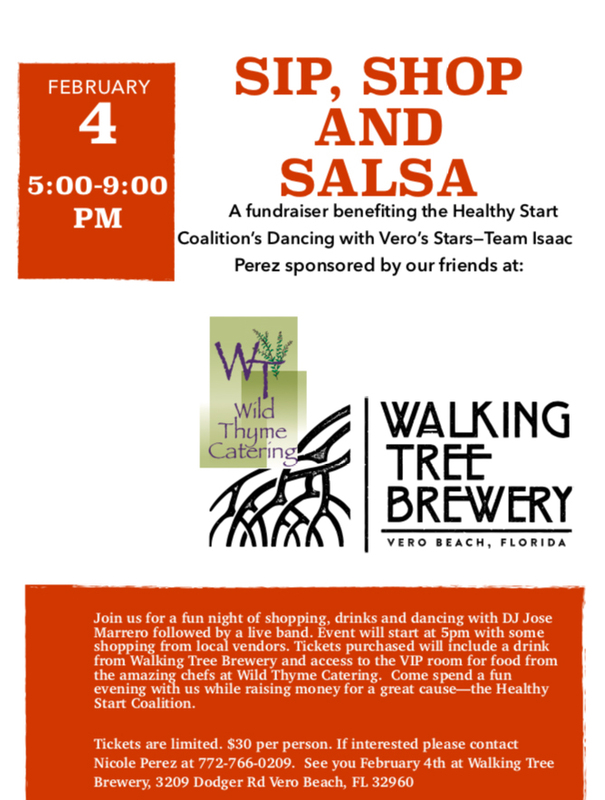 DETAILS: Enjoy any evening out while supporting Team Issac of Dancing With Vero Stars. Microbrews for sipping, local vendors for shopping, and a live band to salsa to! 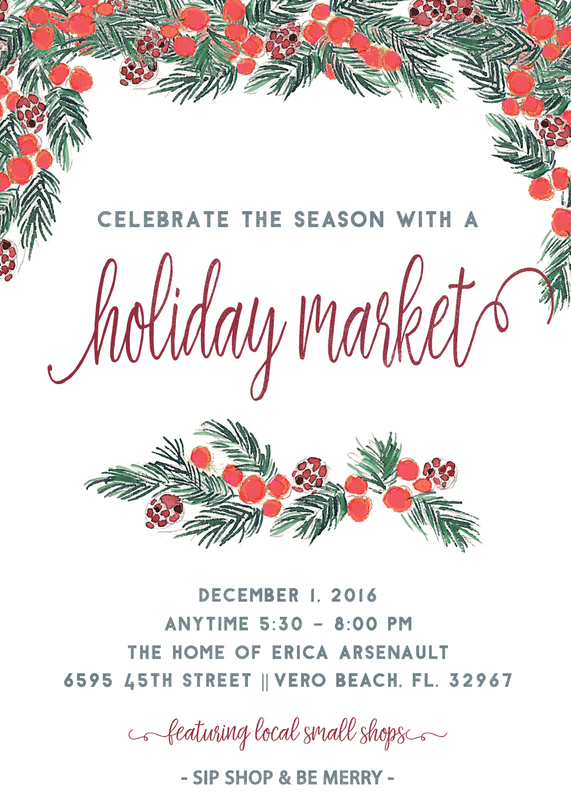 DETAILS: Celebrate the season with a holiday market! With the hustle and bustle of the holidays fast approaching please join us for a relaxed evening of cocktails and shopping – support your local small shops and pick up some great gifts for the holidays! LOCATION: West Elm Palm Beach || 11701 Lake Victoria Gardens Ave, Palm Beach Gardens, FL. 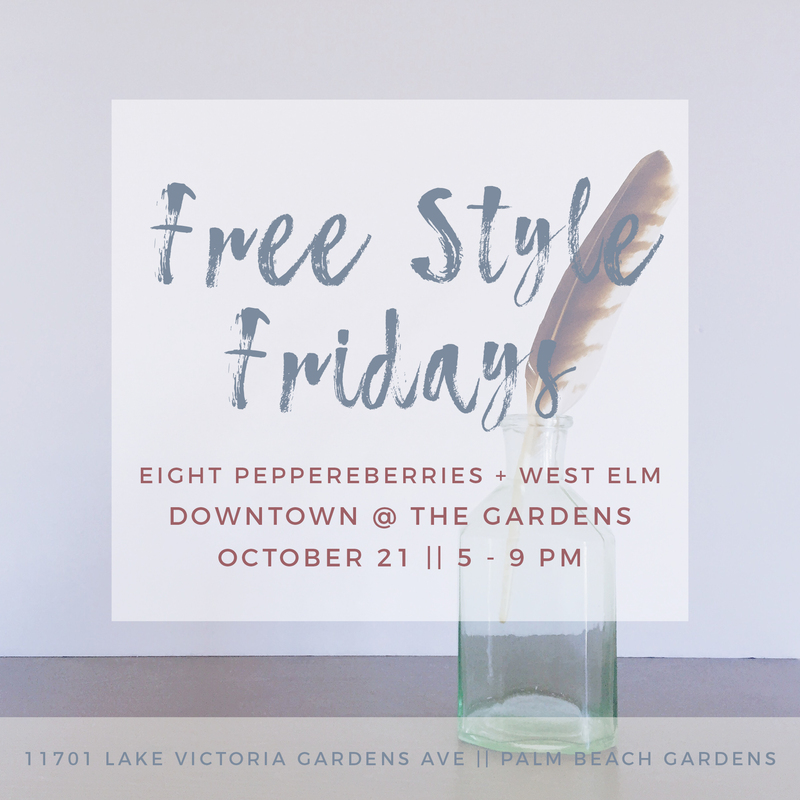 DETAILS: Join me at West Elm Palm beach during the Downtown at the Gardens event Free Style Fridays. It will be a night of food, shopping, music, drinks, deals, and fun! Last call for Halloween cards + art prints! 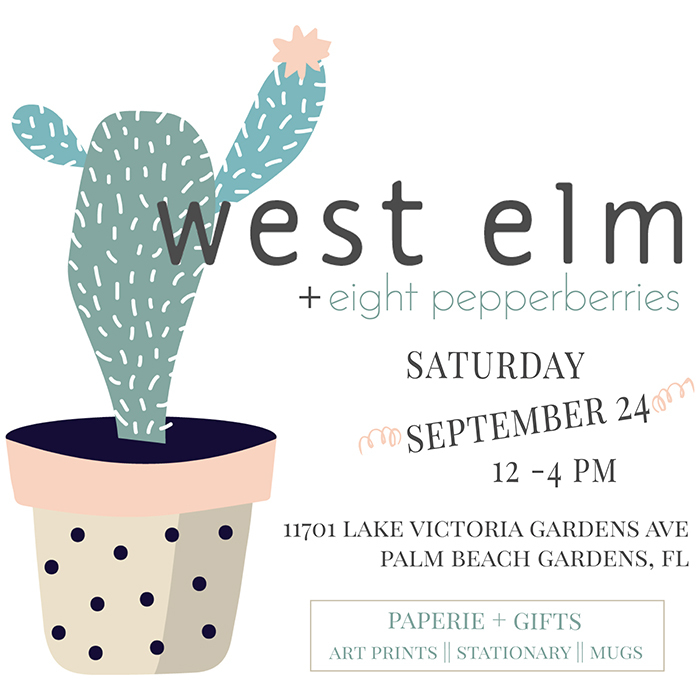 DETAILS: Join West Elm + Eight Pepperberries for an afternoon of shopping! Stop by the pop up shop to check out the new Fall collection from the Eight Pepperberries Paperie + Gifts shop as well as other shop favorites. DETAILS: It’s downtown Friday! 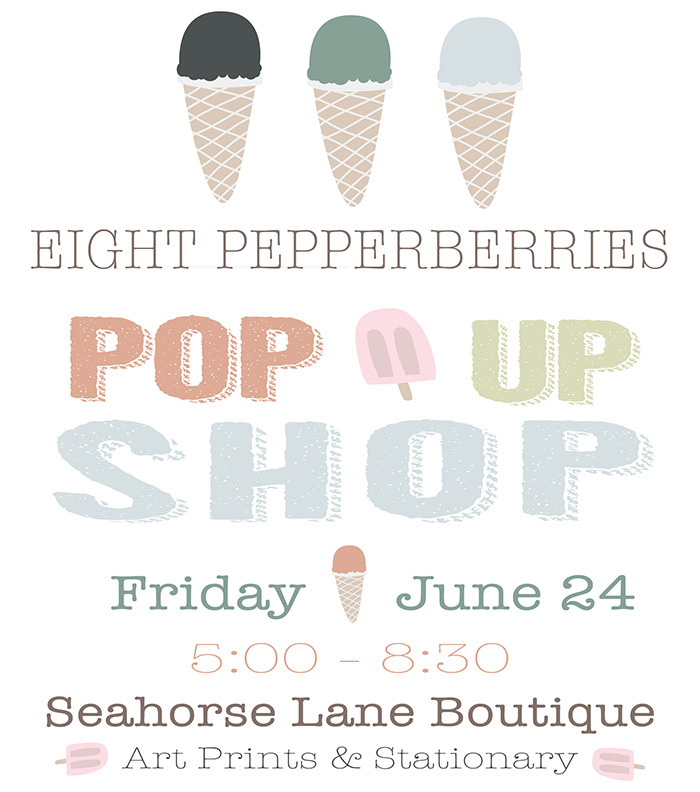 Stop by the pop up shop to check out the new ocean collection from the Eight Pepperberries Paperie + Gifts shop as well as other shop favorites. The shop will now feature printed art prints, greeting cards, and other stationary goods. Perfect for a gift or to decorate your home with! 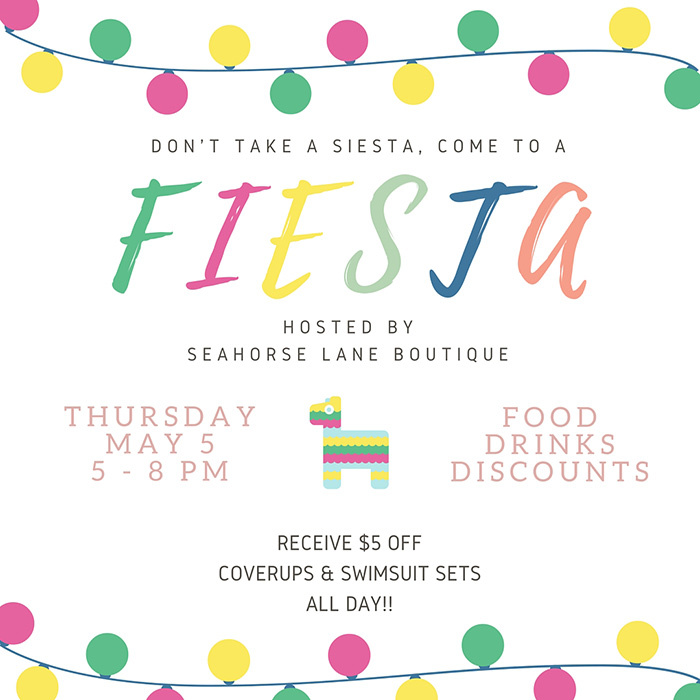 DETAILS: Stop by and say hi, I’ll be at Seahorse Lane Boutique on Cinco de Mayo 5-8 PM! Don’t miss out on your chance to win a new framed Eight Pepperberries art print and other fun prizes! There will be Mexican inspired apps, drinks, and fun! Recieve $5 off coverups and swim suit sets ALL DAY!